Workshop - Creating and Printing Digital Images for Creative Heritage Projects – This is a free workshop by the ‘Capturing Your Wayland Heritage’ project. The workshop aims to give an introduction to creating digital images with cameras and scanners. It will also cover getting the images on to your computer and making the most of them by making simple adjustments with Photoshop and similar free software such as Gimp. Printing the images on samples of different fabrics and papers will give participants a chance to compare results and see what can be achieved. The workshop will provide the skills to produce images on paper or fabric that can be used to make creative family or village histories etc. 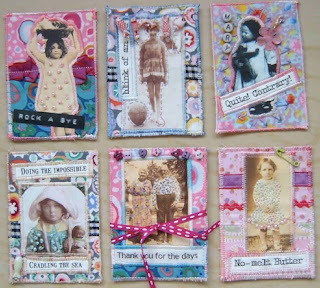 Participants that have a project in mind should bring images to scan, photo cards, images in their cameras etc with them. On going support from the project heritage officer will be available for the heritage-based projects started on the workshop. 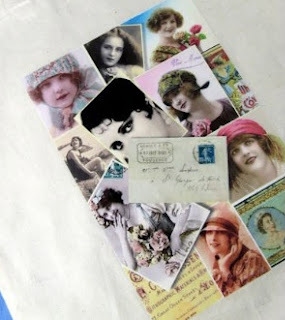 If any one has examples of past work, printing on fabric they would like to bring to show the group, and share their experiences that would be very useful. Laptop computers, cameras, a scanner and an inkjet and laser printer will be available, but if people would like to bring their own familiar equipment to work with that would be fine. Please email sue@wayland.org.uk or phone 01953 880216 to book a place. 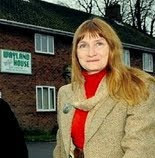 The February 2010 dates for the Wednesday 'Heritage drop-in Afternoons' 2-4pm at Wayland House, Watton are Jan 27th - Feb 3rd, 10th, 17th, and 24th. We need volunteers for scanning and recording historical photos and documents of Watton, Wayland and the Battle Area, could you help us record the past for the future? 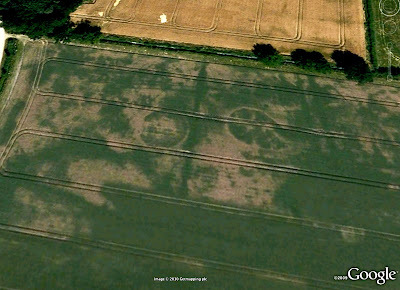 This view of archaeological features from the air at Scoulton where spotted by Julia and Tony Grover on Google Earth. What can you discover in your parish? 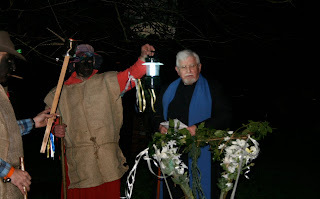 Today is Plough Monday the first Monday after Epiphany, or Twelfth Night. Plough Monday was an important ritual for agricultural workers in the east of England for centuries. In Norfolk the ploughboys performed a dance called molly dancing. 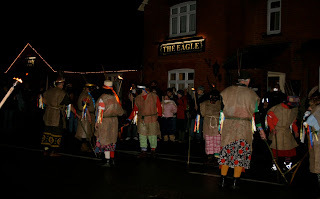 In Hockham the day is still celebrated, after the blessing of the plough on the village green at 7pm, the Hockham Clodhoppers (molly dancers) will be dancing by torchlight outside the pub near the green. Then the merriment will moving on to the village hall, with local musicians including a hurdy gurdy player, here everyone will be encouraged to participate in some Elizabethan dances. Free refreshments will be provided at the end and a collection will be made for charity during the evening.